1) First of all, you have to download the tinyMCE editor and decompress it in your WWW folder (/var/www). Else, you will get an error when you try to open the examples included in the zip file. 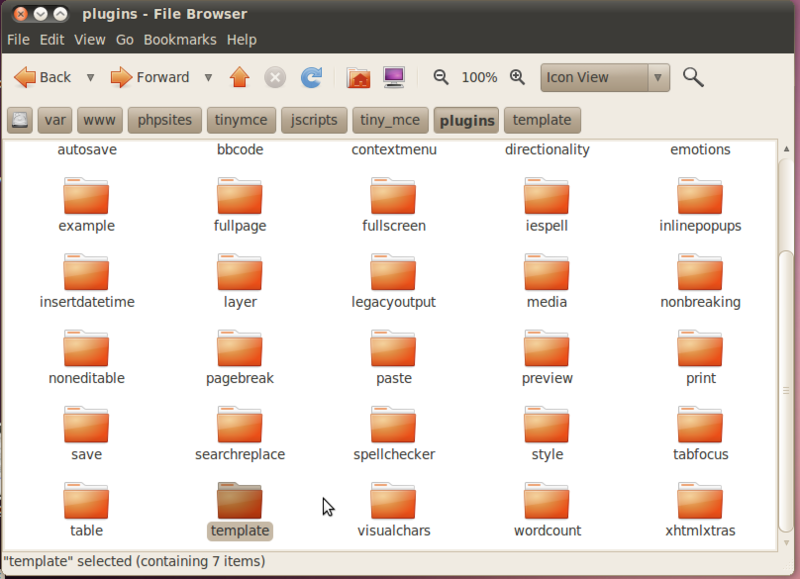 3) Browse jscripts/tiny_mce/plugins inside your tinyMCE folder. This is the place where all the plugins are stored and here you will find a folder called ‘template’ which includes all the files required to create a template by your own. 4) Create a copy of this folder and rename it to ‘customPlugin‘ or any other name you want. If you open this folder,you will find several files, but we will be working with ‘editor_plugin_src.js‘ and once your code is ready for deployment you can strip all the LF and rename this file to ‘editor_plugin.js‘. 5) create an ‘img‘ folder inside the ‘customPlugin‘ folder and save this image (This image will be used when you create the plugin button). 6) You need to configure tinyMCE to load the SRC plugins files, but you can avoid this step and just rename the ‘editor_plugin_src.js‘ file to ‘editor_plugin.js‘. Once it is done, open the file and you will find all the code that is required for a plugin, you can customize this code according to your needs. 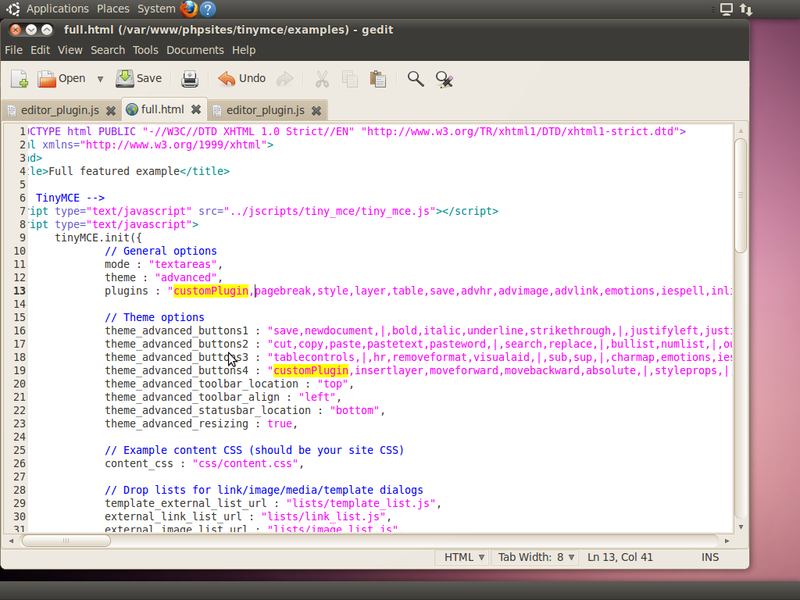 8 ) Save the changes and open the following file in your editor: tinymce/examples/full.html. This example will be used to test your new custom plugin. 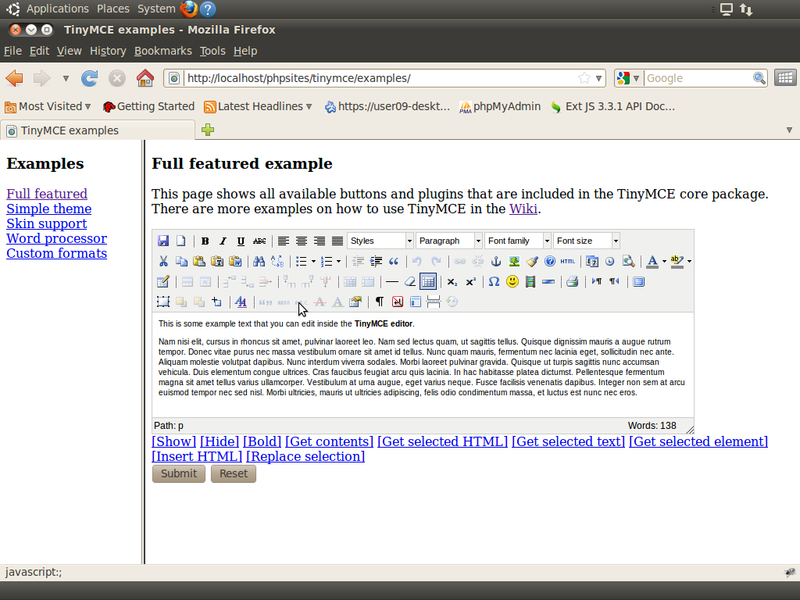 10) Save the changes and open the ‘full.html’ file in your web browser (http://localhost/tinymce/examples/full.html). 11) If you click this button, a new window will be displayed. This is the default action linked to the plugin template.